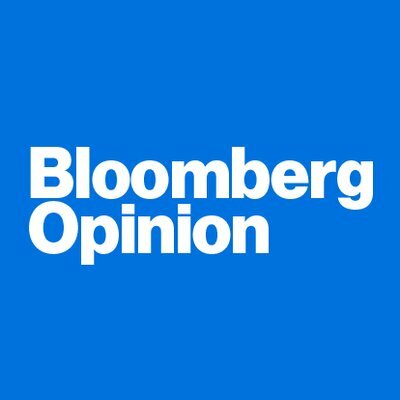 Opinions on business, economics and much more from the editors and columnists at Bloomberg Opinion. The famous manager’s racist views are even more troubling than Kate Smith’s racist entertainment. It would help ease the crushing financial burden on too many young Americans. A generous tax break still lacks proper controls. Politicians can argue whether employment is rising or falling. The data we do have tells a more interesting story. There are good reasons why one American state leaves big countries like France and Italy in the rearview mirror and overtook the U.K. last year. It’s hard to see why this should be controversial. The secretary general plans to attend China’s Belt and Road forum as if it’s business as usual. The way officials have responded to the spread of African swine fever has brought back bad memories of SARS. Providers of outside capital too often give a free pass to insiders to maintain control of companies like Jet Airways. Forcing them to use authorized repair centers hurts rural America. The current framework is outdated and harmful. Long live the dollar-spending target. The goal of tightened sanctions on oil is to deprive the Iranian leadership of revenue. The burden makes it hard to start a family, buy a home or open a business. That’s a long-term drag on growth. If you listened to Mother Earth, you’d probably eat more corn and soy than nutritionists suggest.